Paddle Australia’s Canoe Slalom Olympians set an early mark ahead of the 2019 World Cup and Olympic qualification season with dual Olympic medallist and reigning C1 World Champion and 2018 World Cup winner Jessica Fox (NSW) continuing her record-breaking unbeaten run in the women’ C1, while Rio Olympian Lucien Delfour (NSW) finished second in the men’s K1 at the Pyrenees Cup in Spain over the weekend. Tasmanian Daniel Watkins also made the top ten men’s K1 final with Australia’s slalom paddlers presenting themselves in great form ahead of an action-packed season which will include qualification for the Tokyo 2020 Olympic Games. The Pyrenees Cup included a two-weekend race series in Pau, France (5-7 April) as well as in La Seu, Spain (12-14 April) and gave an early taste of what’s to come in 2019. 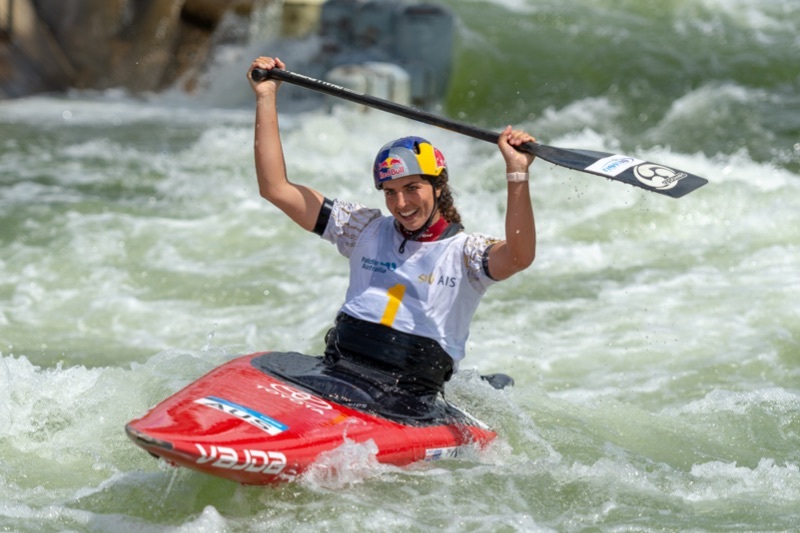 Paddle Australia’s most successful canoe slalom paddler of all time Jessica Fox began the 2019 European canoe slalom season where she left 2018, with a strong win in the women’s C1. 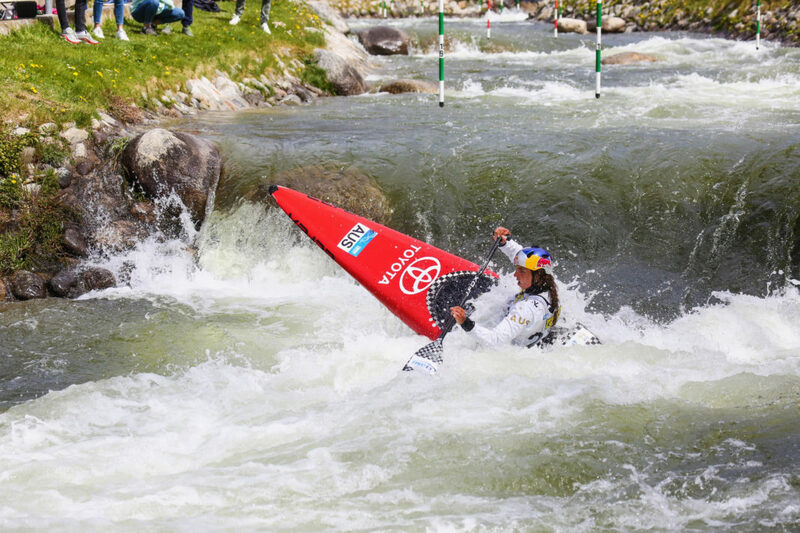 Jessica Fox only contested the La Seu part of the event series and won the women’s C1 in a strong time of 104.60 and despite a two-second penalty on the course that will host the 2019 ICF Canoe Slalom World Championships in September. Austria’s Viktoria Wolffhardt finished second on 107.55. In the women’s K1, Fox was a notable absentee from the final after setting the fastest time, but picking up a 50-second penalty in the semi-final. In the absence of the reigning world champion, France’s Camille Prigent sneaked home for victory ahead of Rio Olympic gold medallist Maialen Chourraut in second. “I was happy with my racing, there was a tough judging call on my K1 where I got a 50 second penalty on gate two in the semi-final which kept me out of the final, but overall I was quite happy with that run, and it remained the fastest time of the K1W race. I finished off well in the C1 to take the win and it’s always nice to start the European season that way,” Jessica Fox said. The win continues Fox’s unbeaten run in the boat class she won five World Cups, the overall World Cup as well as World Championships gold in last year. 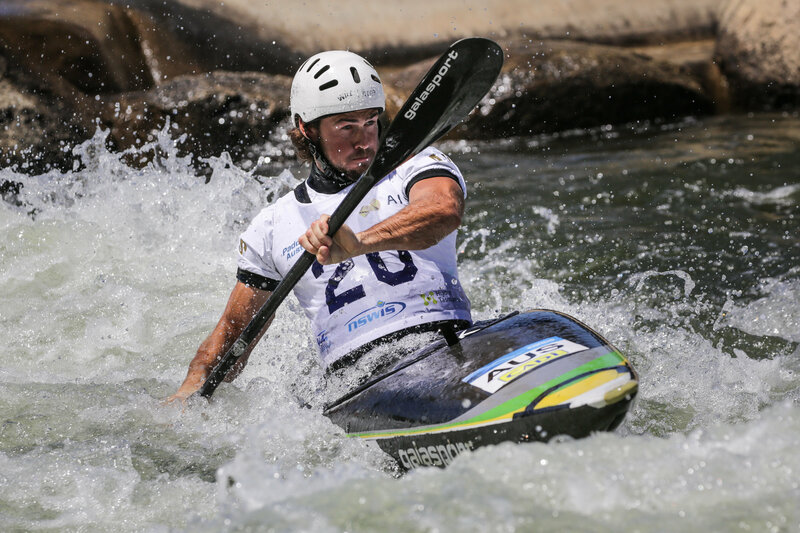 The early season slalom event saw some of the world’s best whitewater paddlers in action with a small contingent of Australia’s 2019 Canoe Slalom World Championships team including the event into their training camp and recce of the 2019 World Championships course, which will also be the Olympic qualification event. “I’ve been in Seu for two weeks and decided to not race the first leg of the Pyrenees Cup which was in Pau last week, but to just race the Seu race. 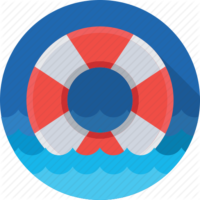 There was some good competition with all the Spanish and French getting ready for their selections, and some Russians, Polish, Austrian, Portuguese, Irish and others,” Jessica Fox said about the event. Rio Olympian Lucien Delfour also had a strong start to the European season and finished second in La Seu in a time of 86.00, one second behind Rio Olympic bronze medallist Jiri Prskavec (CZE). France’s Mathurin Madore finished third in 86.43. Both Lucien Delfour as well as Daniel Watkins also raced the first event of the Pyrenes Cup series at Pau, France last week, where Lucien Delfour was the fastest man on the course, but 54 seconds in penalties cost him dearly and pushed him back to 10th(144.78, +52.90). With a tenth and a second place, Delfour finished the overall cup ranking in third. Daniel Watkins finished 18thoverall after an eighth place in La Seu and a 39thplace in Pau. Watkins also raced the men’s C1 on both weekends finishing 22ndand 21strespectively and 15thon the overall Cup standings. 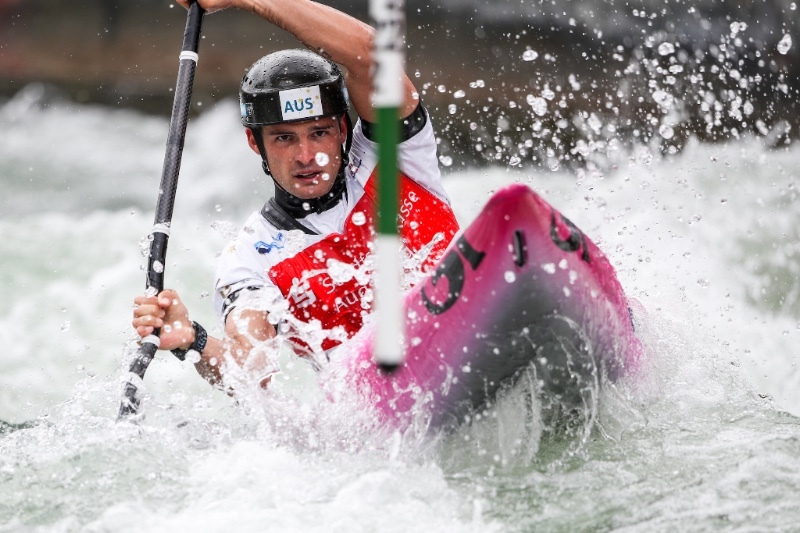 The Pyrenees Cup was the first international event overseas this season following a successful start to 2019 on home waters at the 2019 Sydney International Whitewater Festival in February, which saw Jessica Fox win the women’s C1 at the Australian Open as well as at the Oceania Championships, while Lucien Delfour won the K1 at the Australian Open. 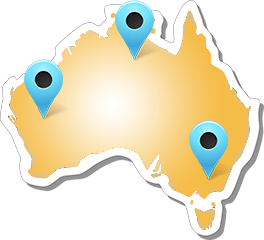 Australia’s paddlers will return home for a few weeks before the whole World Cup Team travels back to Europe at the beginning of June for the opening ICF Canoe Slalom World Cup for 2019 on the London 2012 Olympic course in Lee Valley, England (14-16 June 2019).